The Kwanka are located in Plateau and Bauchi states in north-central Nigeria. They are surrounded by the Saya, the Nga, and the Fyam people groups. Little is known about the specific lifestyle of the Kwanka, but it is assumed that they are fairly typical of the other groups in the region. Nigeria, whose name is derived from its major river, the Niger, is the most populous country in Africa. Initially composed of a number of ethnically based kingdoms and states, the area of present-day Nigeria was brought under British rule by 1906. It became an independent state on October 1, 1960. Following a period of tension among its ethnic groups, especially the Yoruba of the southwest, the Ibo of the southeast, and the Hausa and Fulani of the north, Nigeria was ruled by the military from 1966 to 1979. During the period from 1967 to 1970, peoples of the southeast unsuccessfully attempted to secede from Nigeria by forming the Republic of Biafra. 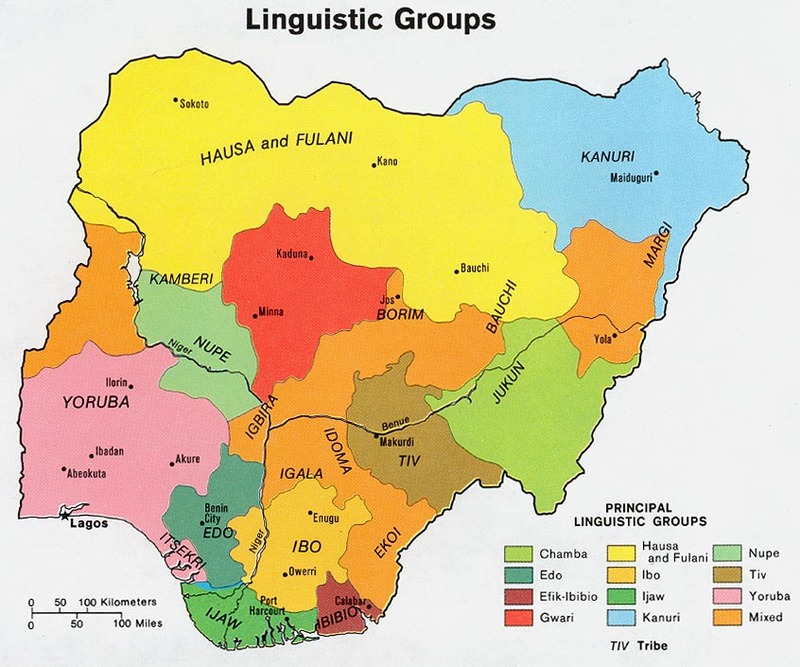 With more than 500 ethnic groups, Nigeria is a linguistic, social, and cultural mosaic. Nearly three-quarters of the population consists of the Hausa and Fulani of the north, the Yoruba of the southwest, and the Ibo of the southeast. Other groups include the Edo, Ijaw, and Ibibio of the south, the Nupe and Tiv of the central part of the country, and the Kanuri of the northeast. Nigeria has two distinct climatic zones. Along the coast, the climate is characterized by high humidity and heavy rainfall. To the north, the tropical continental air mass brings dry, dusty winds (harmattan) from the Sahara Desert. The temperature and the amount of rainfall vary considerably, depending on the season and area. Like most other peoples in this part of Nigeria, the Kwanka are subsistence farmers, growing millet, maize, guinea corn, and beans. They also raise animals such as goats, sheep, chickens, dogs, and horses. Goats, sheep, and chickens are eaten, along with monkey and iguana, which is a delicacy. Dogs are used for hunting and for guarding the compounds at night. Fowl are used only for ceremonial purposes. The Kwanka also engage in hunting, fishing, and some trading, but these are of lesser importance than farming. The Kwanka live in compact villages located either in the hills or in dense forests. Their houses are made of mud, with grass roofs covering an outer porch and granary. Each village is a clan community separated into extended family compounds. The village headman handles village affairs with the help of a council of elders. Marriage usually involves a long process of a bride- service, coupled with gifts or a modest bride-price. Most tribes permit polygyny (having more than one wife), but the first wife usually enjoys a higher status. Subsequent wives generally maintain separate huts, and the husband divides his time among all his wives. Trade is not highly developed in this part of Africa, but regular markets are reported for quite a number of groups. Local political authority usually resides in a hereditary headman, who is assisted by a council of elders. About half of the Nigerians are Christians, with Roman Catholics centered in the southeast and Methodists and Anglicans being most influential in the southwest. Nearly half of Nigeria's people are Muslims, the majority of whom live in the north. Traditional religions are practiced by the remainder of the population. Although the Kwanka are somewhat Muslim and slightly Christian, over half of them still follow their traditional, animistic religion (believing that non-human objects have spirits). The Kwanka have few Christian resources available to them in their language. Further evangelistic work and prayer are greatly needed to impact these people with the Gospel. * Scripture Prayers for the Kwanka, Kadun in Nigeria. * Ask the Lord to call Nigerian Christians to share the love of Christ with the Kwanka. * Ask the Lord to raise up linguists to translate the Word of God into the Kwanka language. * Pray that signs and wonders will follow the Kwanka believers as they proclaim the Gospel to their own people. * Ask God to raise up prayer warriors who will intercede for the Kwanka. * Ask the Lord to bring forth a vigorous Kwanka church for the glory of His name!